All events will take place at the Crowne Plaza Resort in Asheville unless otherwise noted. 8:30 – 11:30 AM: Optional Pre-Conference Workshop – Digital Marketing for the Beer Industry (Mitchell/Roan room): This three-hour intensive workshop will cover all aspects of digital marketing, including mobile marketing, search engine optimization, content creation, social media marketing, digital advertising, and email marketing. Our presenters are Neal Stewart, VP of Marketing at Dogfish Head Craft Brewery and Beth Peluse, Marketing Manager at Zephyr Adventures and Taste Vacations. The workshop is open to anyone – you need not be registered for the conference to attend. The cost is $125 for one Workshop (morning or afternoon) or $200 for both but, as a first-year special, the Workshops are free to registered attendees of the conference. 1:00 – 4:00 PM: Optional Pre-Conference Workshops: Choose one of the following four topics, each of which is tailored to a specific industry group interested in beer marketing and tourism. The workshops are open to anyone – you need not be registered for the conference to attend. 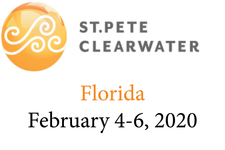 The cost is $125 for one (morning or afternoon) or $200 for both but, as a first-year special, are free to registered attendees of the conference. Tap Room Management for Breweries (Mitchell Room): Tap rooms are often the only means to reaching the public for microbreweries and are still critical for creating passionate fans at larger breweries. They are the front line of interaction with consumers yet many breweries sort of run a tap room by gut feel. We’ll discuss all aspects of tap room management including layout, hiring, training, merchandising, pricing, tours, beer selection, opening hours, telling your story, and more. Our presenter Dave Adams from Green Flash Brewing teaches a six-week, 18-hour course on this subject but will distill this down to three hours! 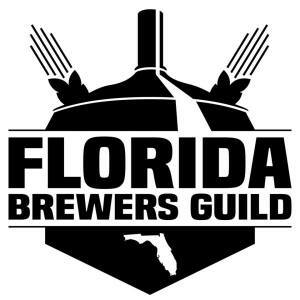 Best Practices for Brewery Guilds and Tourism Organizations (Roan Room): There are brewery guilds in 46 US states and many foreign countries. Destination Management Organizations (DMOs, CVBs, etc) promote cities, states, regions, and countries throughout the world. Brewery guilds and tourism promotion agencies are just now realizing beer tourism is a big deal, bringing spending consumers to a region and providing a significant boost to local breweries. In this guild and DMO “summit”, we’ll discuss and share best practices as related to beer marketing and tourism promotion. Our workshop facilitators are Margo Knight Metzger from the North Carolina Craft Brewers Guild (and previously Executive Director of the North Carolina Wine & Grape Council and public relations director for the North Carolina Division of Tourism); Candice Eley from the San Diego Tourism Authority; Katy Clair from Travel Oregon; and Paul Leone from the New York State Brewers Association. Best Practices for BrewPubs (Pisgah Room): There were 1,650 brewpubs at the end of 2015, representing 39% of the market. Brewpubs, who primarily don’t bottle and distribute, have a different set of marketing priorities than do either microbreweries or production breweries. We’ll hear from a panel of successful brewpub owners about best practices for this segment of the market, with a focus on marketing, visitation, and sales. Our presenters are Mark Weslar, Vice President of Marketing at Karl Strauss Brewing Company and Jamie Barthalomaus, president and co-owner of Foothills Brewing in Winston-Salem, North Carolina. Emily Hutto, proprietor at RadCraft, a communications cooperative that does PR and marketing for craft breweries, will be moderating. Creating & Growing a Beer Tour Operator Business (Dogwood Room): This workshop is designed both for those looking to start a beer tour operator business and those already operating one. We’ll cover everything including establishing a business, selecting a market niche, pricing, creating tours, working with industry producers, hiring guides, and marketing. This is your opportunity to learn from and share your compatriots in the beer tour industry, which is now at least 143 companies strong! Our presenters include Dave Philips of Dave’s Brewery Tours in Australia and Brant Myers of Hop On Beer Tours in San Luis Obispo, California. 4:30 – 6:30 PM: Beer Trade Show & Opening Reception (Pisgah/Pilot room): Visit with conference sponsors/partners and taste beers brought in from established and emerging beer regions from throughout the United States. Cost is $500 to staff a table and pour your beers. The first 30 not-for-profit brewery guilds or Destination Management Organizations to register for the conference receive a trade show table and can pour beers at no charge. 8:00 AM – 4:40 PM: Registration (Laurel Registration Area outside Crowne Ballroom): Registration is open all day in case you arrive late. 10:30 – 10:55 AM: Welcome by Julia Herz of the Brewers Association (Crowne Ballroom): Julia is Craft Beer Program Director and Publisher of CraftBeer.com for the Brewers Association. Many of you know Julia as a dynamic, passionate advocate for craft beer. We’ll hear Julia’s take on the current state of beer marketing and beer tourism. 11:40 – 1:25 PM: Lunch with the North Carolina Craft Brewers Guild (Crowne Ballroom) Thank you to our local hosts! Enjoy lunch and taste beers from throughout North Carolina. 12:05 – 1:05 PM: Beer Tourism and Beer Marketing in Asheville and North Carolina (Crowne Ballroom): North Carolina has a thriving craft beer industry with strong state tourism support and an active, effective brewers guild. Asheville itself is well known as one of the top beer cities in the world. Hear why Asheville and North Carolina are leading the country and world in terms of beer tourism and what they are doing to market their brands. Our panel includes Margo Knight Metzger, Executive Director of the North Carolina Craft Brewers Guild; Mark Shore, Director of Tourism Marketing at Visit North Carolina; and Dodie Stephens, Director of Communications at the Asheville Convention & Visitors Bureau with moderator Kendra Penland of the Asheville Brewers Alliance. Organizing Effective Events (Mitchell/Roan room): Events drive beer consumers to a region, a city, and to breweries. They are important in driving beer tourism visitation, which is so important in filling hotel room beds, restaurant seats, and brewery tap rooms. Yet with so many beer events out there, you as the organizer need to make sure you are putting on something attractive enough to draw the crowds … and please them. Liz Bradshaw, Events Manager at Green Flash Brewing, and Wayne Holt, organizer of the Beericana Craft Beer and Music Festival, will be presenting. What Is Beer Tourism? (Pisgah/Pilot room): The term “beer tourism” is just coming into common use but what does it actually mean? Dr. Carol Kline, Associate Professor of Hospitality and Tourism at Appalachian State University, and Chris Cavanaugh from Magellan Strategy Group are filling a gap by conducting and collating research on beer tourism. 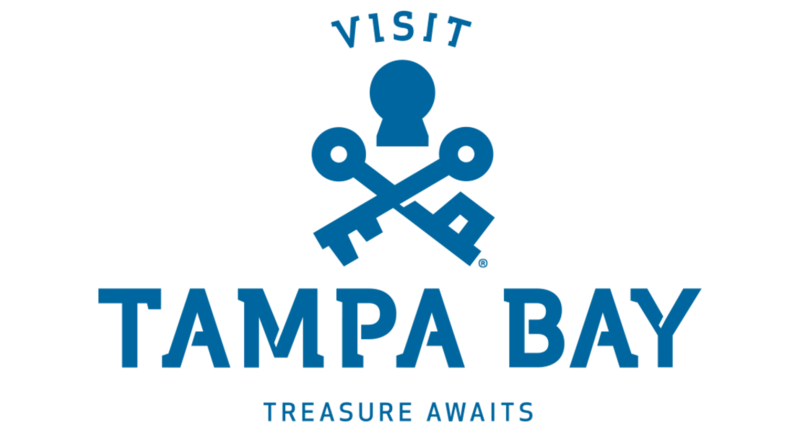 They will present findings about beer tourism from throughout the U.S. and help us better understand what this phenomenon means for the beer industry. Working With Beer Bloggers: How And With Whom? (Mitchell/Roan room): The Beer Bloggers & Writers Conference has a list of 1275 active beer blogs throughout the world. These beer writers, most of them “citizen journalists”, play a key role in spreading the story of beer to consumers. Beer bloggers also are the “influencers” talking about beer at parties, volunteering at festivals, and even organizing their own events. We’ll discuss how to evaluate, contact, and work with beer bloggers for the benefit of both sides. Our panelists are influencers Lynn McIlwee from Hops Canary, Kendall Joseph from Beer Makes Three, and Bryan Richards from The Wandering Gourmand. Lessons From Other Craft Beverages (Pisgah/Pilot Room): Craft beer is booming. Yet wine tourism is much more established than beer tourism, hard cider grew 600% in the past six years, and there are five times as many coffee shops as breweries in the United States – many of them now selling alcoholic beverages themselves. Learn about the wine, spirits, cider, and coffee industries with lessons for beer and brewing from our panel: Jeff Plack from Biltmore Wine, Lindsay Dorrier III from Bold Rock Hard Cider, Jenny Bonchak from Slingshot Coffee Company, and Scott Maitland from TOPO Organic Spirits. 3:50 – 4:50 PM: The Beer Marketer’s Guide To Working With Media (Crowne Ballroom): Securing stories in media outlets remains one of the most effective ways to increase awareness and garner credibility among consumers. In this session, leading journalists will share current insights, including which story themes are trending now, how to best pitch stories, and which digital assets are now considered toolbox necessities. Our panelists include Joshua Bernstein, Stephen Beaumont, Ethan Fixell, and Zach Fowle. Maximizing Your Return From Beer Festivals (Roan room): Beer festivals and other events are all the rage, with every city having at least one if not half a dozen. Breweries are now often invited to festival after festival. With this session, we’ll discuss deciding which festivals and events to join and how to maximize your return when you do participate. Our presenters are Ryan Krill from Cape May Brewing Company in New Jersey and Dave Aiken from Summertime Brews Festival in North Carolina. Storytelling In A Multi-Platform Age (Pisgah/Pilot room): Media is no longer one dimensional. Print, broadcast, online, and social media are all platforms which can deliver your beer marketing message to your target consumers. In this session, a press and editors will discuss best practices for telling your story on different media platforms so you can garner the results which boost consumer demand. Our panel includes Ashley Day of USA Today, Ben Keene of Beer Advocate, and Matt Kirouac of Zagat with moderator Zach Matt from Thrillist. Working With Beer Tour Operators (Roan room): Tour operators help grow beer tourism. There are at least 100 beer tour operators running local tours in major cities throughout the world and another two dozen beer vacation tour operators. Yet having 15 tourists show up en masse at a brewery can either be an outstanding experience complete with interested, passionate beer drinkers or a drink fest of sloppy bachelorette partiers. We’ll learn how to work with beer tour operators for the benefit of all parties via presenters Liam Pereira of Dave’s Beer Tours in Australia, Mark Lyons of Brews Cruise, and Beth Peluse of Taste Vacations. SEO Goes Local (Pisgah/Pilot room): We have all heard of and are aware of Search Engine Optimization, or how to optimize your visibility on search engines. But brick-and-mortar businesses or just those with a defined target geography (which means most attendees of this conference) have special SEO considerations, called Local SEO. Expert Rich Owings from Local Is Where It’s At will provide clear advice on the following subjects: claiming your business listing on Google, getting found on iPhones via Apple Maps, improving your reviews and responding to negative reviews, optimizing social media for local search, and improving your own website for Local SEO. 11:30 – 2:30 PM: Lunch, tour, and tasting at Sierra Nevada Brewing Co.: We’ll head 20 minutes south to Sierra Nevada’s stunning brewery in Mills River where we’ll tour the facility, learn about the various brewery tours that bring people flocking to the facility, taste beers, and have lunch. 2:30 – 3:30 PM: Creating Beer Tourism in Emerging Beer Regions (Roan/Pisgah/Pilot room): The beer revolution is now happening throughout the world. Yet some regions are certainly more well known for their breweries and beer scene than others. In this panel we’ll hear from regions that have not been known as beer destinations but who are changing things quickly. Our panelists include Kate Herron from Experience Grand Rapids in Michigan; John Cooper from Yakima Valley Tourism in Washington; Brad Calkins from Visit Santa Rosa in California; Courtney Cranor from Greater Augusta (Virginia) Regional Tourism; and Ciarra Luster from Visit Tampa Bay in Florida; with beer journalist Bob Townsend as moderator. 3:30 – 4:30 PM: Tips From The Heavy Hitters – Examples of Effective Beer Marketing and Tourism (Roan/Pisgah/Pilot room): We all know some breweries have done an amazing job at marketing and at providing unique experiences for their visitors. In this all-conference panel we’ll hear from three of the top marketers and tourism experts in the beer world. Our panelists include Mariah Calagione, Vice President in charge of marketing and social media for Dogfish Head Craft Brewery; Bill Manley, Beer Ambassador at Sierra Nevada Brewing Co.; and Jeff Billingsley, Director of Marketing at Deschutes Brewery; with moderator Evan Hughes, Publisher at Draft Magazine.